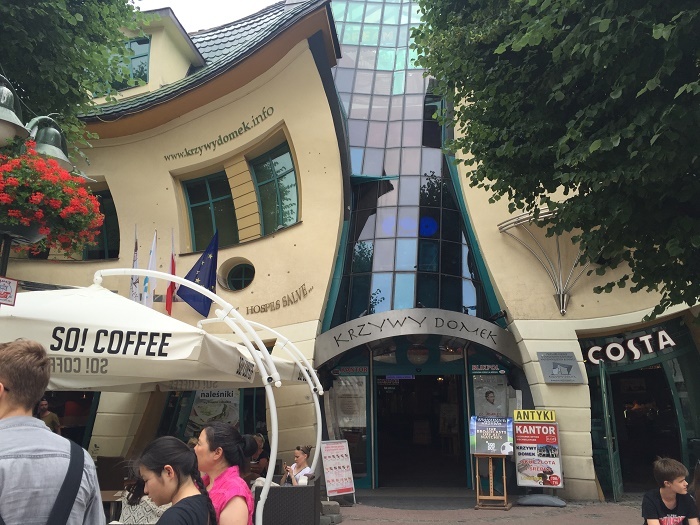 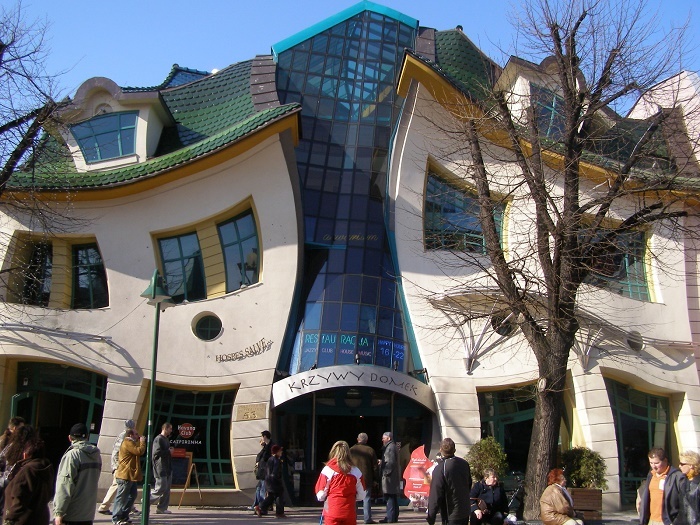 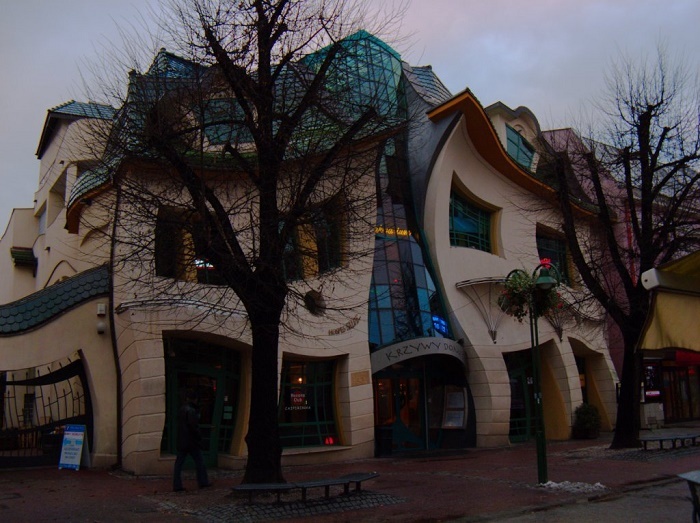 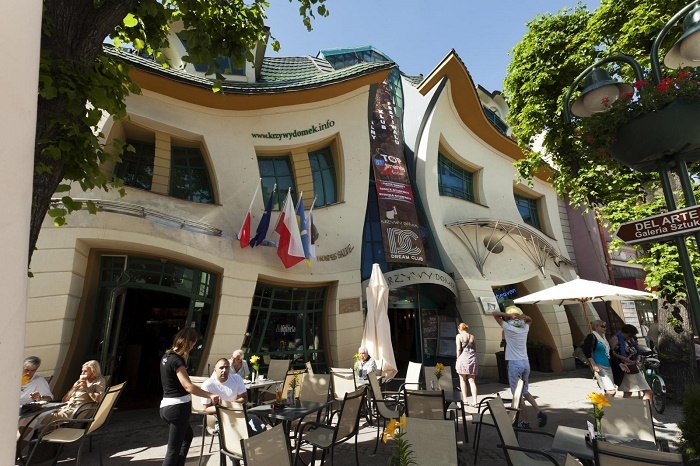 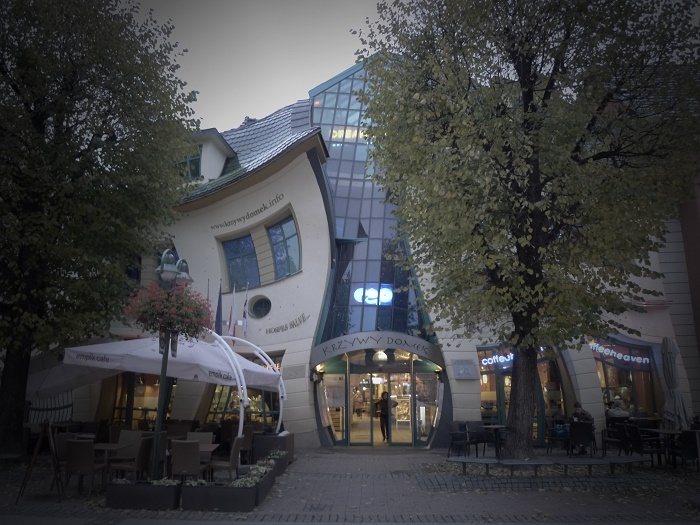 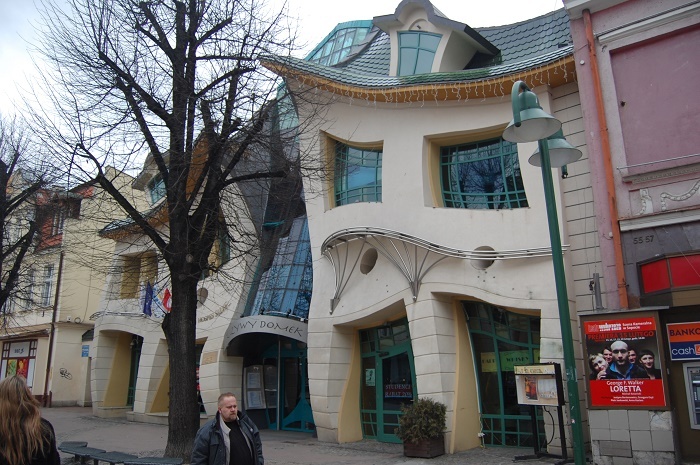 Krzywy Domek, or as it is the translation Crooked House, is an unusual piece of house architecture located in the city of Sopot, Poland. 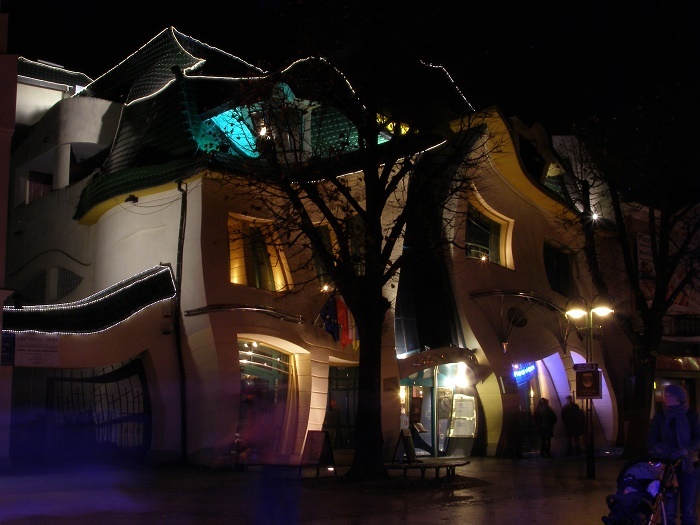 The unusual shape of the house is an inspiration from the fairytale illustrations and drawings of Jan Marcin Szancer and Per Dahlberg, who inspired Szotyńscy & Zaleski to design this alluring masterpiece. 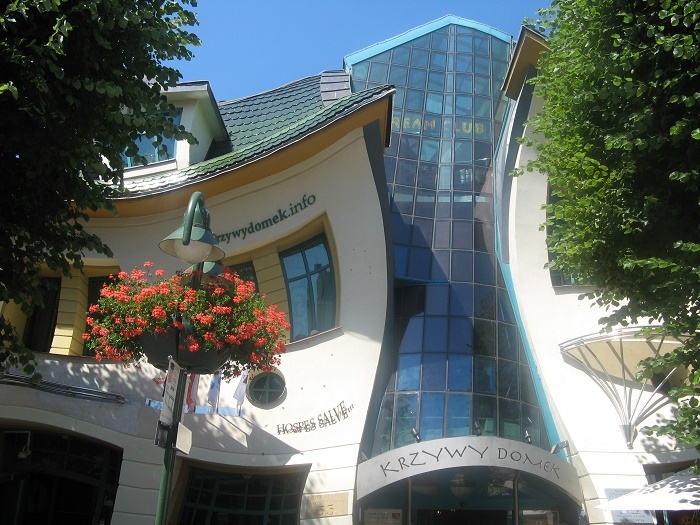 Built in 2004, there are 4,000 square meters (43,000 square feet) of an extravagant experience, which is mostly shops, due to the fact that it is part of the Rezydent shopping center. 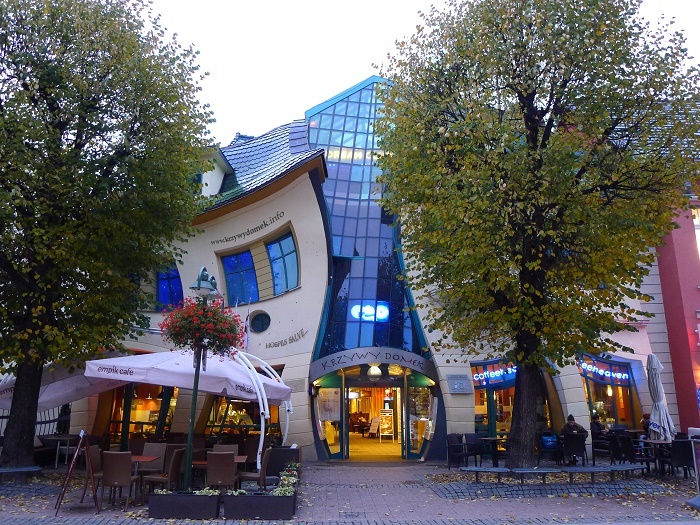 This center has amazing warped walls and windows, concave roofs, architectural glass that look like the reflection of a funhouse mirror. 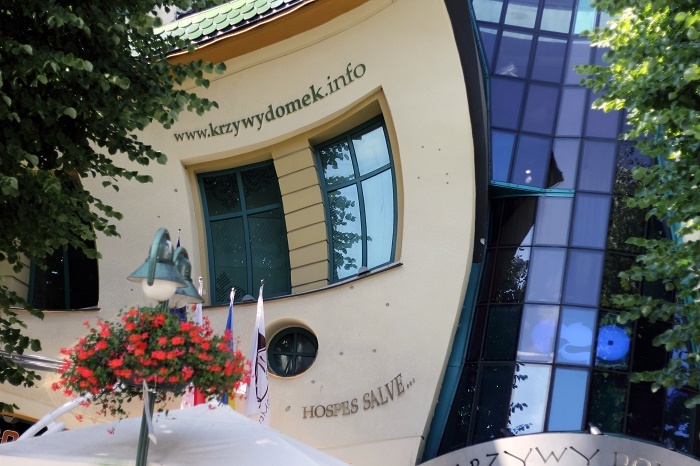 Krzywy Domek is becoming more and more famous also due to the cultural events it organizes, and the names of the participants are added to the building’s “Wall of Fame”. 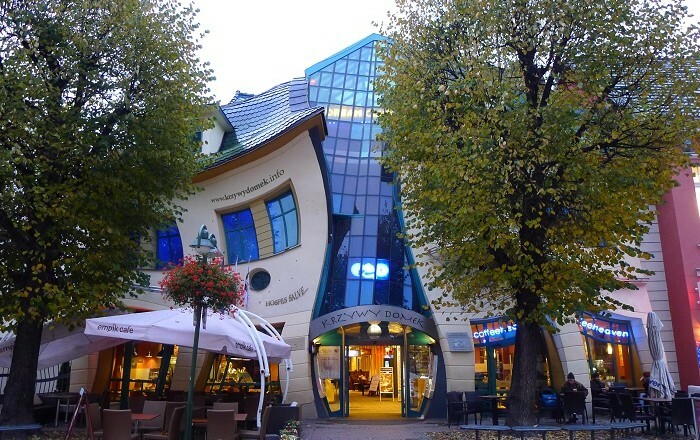 A 21st century alluring house, that will be most likely an inspiration for other generations to create a unique and beautiful architecture.